Greetings, Bat-Fans! 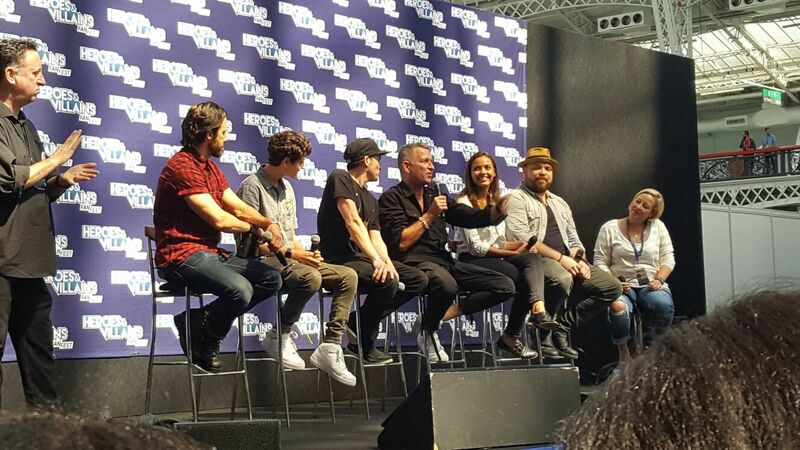 Welcome to the second part of my coverage for the Dark Knight News’ website of the incredible Gotham Panel, live in London from the Heroes & Villains FanFest. The experience was entertaining, informative and had the largest celebrity cast attendance of all of the Q&A events at the show. 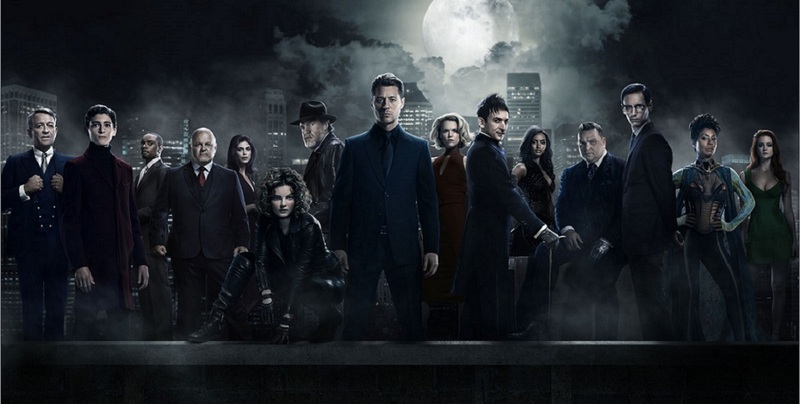 Hopefully, you’ve already read my six incredible exclusive interviews, including three from the stars of Gotham. Without further ado, let’s step back into the action from where we left off. 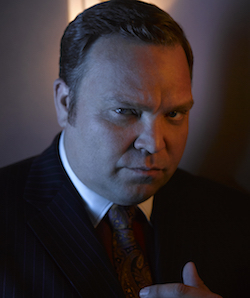 Drew Powell: That’ll play itself out by the end of the season. Mod: Then, of course we have Penguin and Nygma. 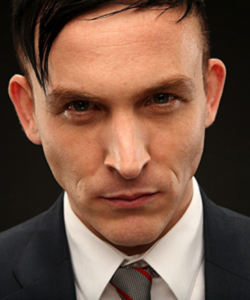 Robin Lord Taylor: What’s up with Sean? 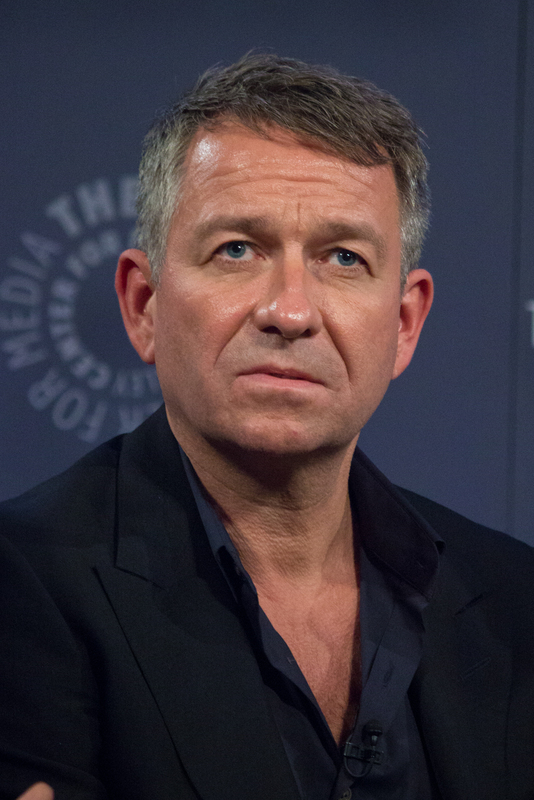 Sean Pertwee: I don’t know. I’m gonna have to hit Tinder quite soon. 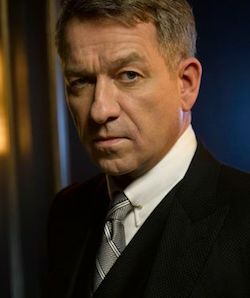 Mod: We need a love interest for Alfred. SP: They sort of hinted at it. There was a frisson funnily enough with ‘Fish’ Mooney – which wasn’t intended initially, and then of course with Lee Thompkins. He doesn’t half pick ’em, doesn’t he really? Jessica Lucas: Wasn’t there a storyline with you and Selina’s mom? SP: Yeah, but that didn’t pan out so good. I don’t know what I did… my breath must’ve smelled or something. Fan: What advice do you have for those who want to (follow) acting as a career? RLT: I used to have another answer, but I’m changing it. My answer is get off your phone! Start talking to people, start interacting with people face to face. As an actor it’s about human experience. You will learn nothing from social media! You will learn by going out into the world, meeting people, addressing them. That is my number one piece of advice for you. Fan: When you were given the scripts, how did you make the characters your own? SP: The bizarre thing is that we were kind of cherry picked. 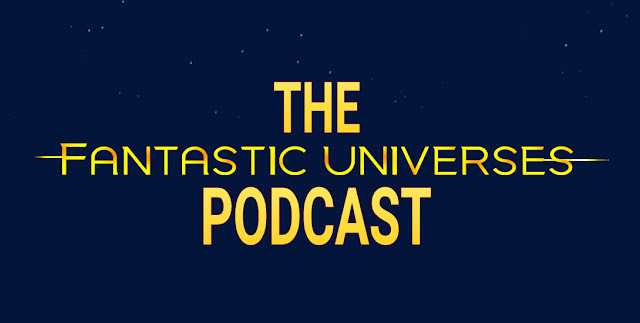 We thought that we were being rather marvelous with our interpretations of the characters, but in actual fact, our showrunners were looking for attributes and tics that we naturally have. So, it’s a bizarre thing. They gave us these generic pieces to read – or some of us, at least – to audition for. They found elements, and physical traits in us personally, which then they incorporated into our roles. We thought we’d won the roles (with) our fantastic acting skills, but they chose us by what we were bringing to the table. It was a very interesting process. In a way it was quite easy then to settle into it, because it was us. We have changed as the seasons progressed, we’ve grown with those characters. 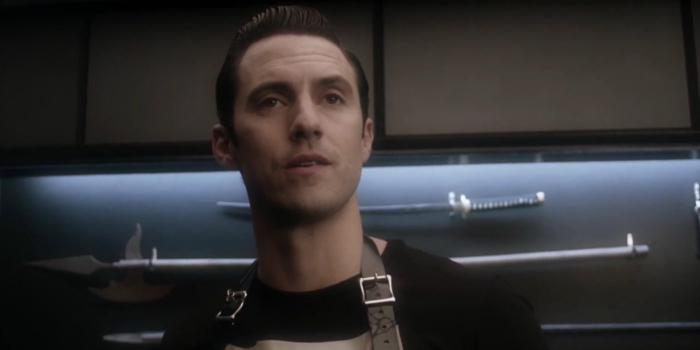 Oswald didn’t start off stabbing people. He was bullied and broken, and eventually was pushed into a position where he becomes The Penguin… so it’s been a natural progression. But they could see those elements in us. That was the interesting and most original way I’ve ever actually been seen for a specific job. Fan: Do you have a song that really gets you ready for the day? That just really gets you motivated? RLT: Guns Of Brixton! The Clash, all the way! 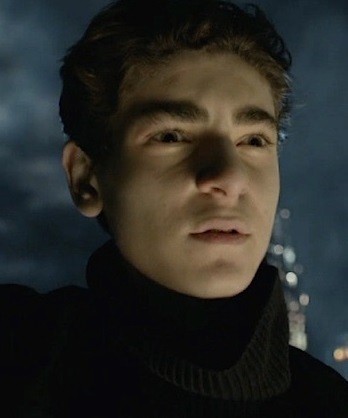 David Mazouz: Anything by Drake. 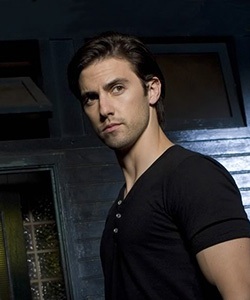 Milo Ventimiglia: Helter Skelter – The Beatles. Fan: Do you think we’ll see Bruce become Batman on the show? 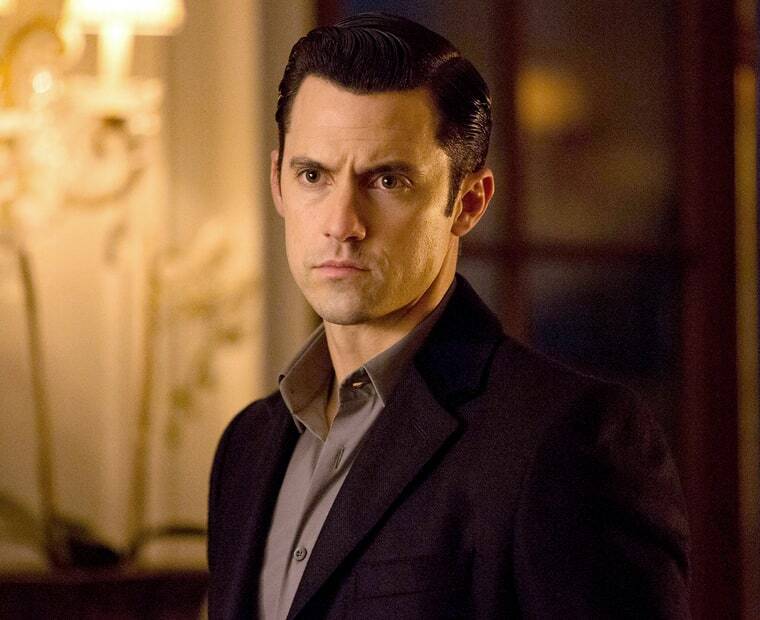 Would we get a Batman spin-off, and if we do, would you be interested in playing him, David? DM: Of course! I would love to play Batman! I mean like, what 16 year old kid doesn’t want to be Batman?!? Let’s be real. 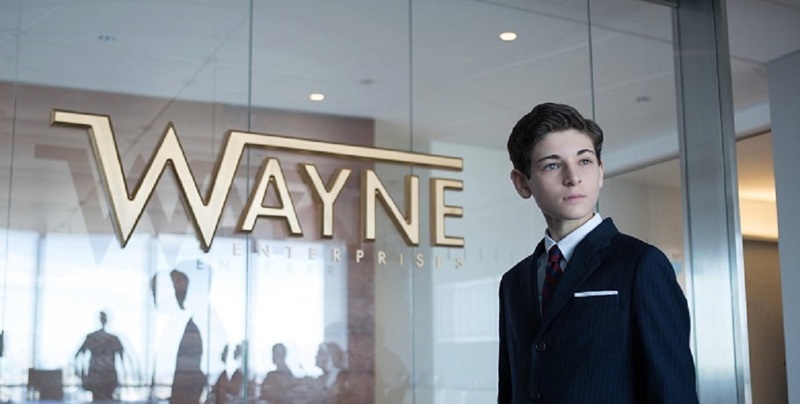 Will we ever see Bruce become Batman on the show? I hope so. Again, the honest answer is, I have no idea what’s going to happen in the future. What I will say is that, at the end of season three Bruce makes a very monumental decision in his life. The entire second half of (the season) has been leading up to that moment, and leading up to this decision. It’s a decision that he’s been struggling with for a while, the answer to the question of what is my purpose in Gotham City? It’s what Bruce has been asking himself this entire season. He’s going to do something that will change his course, and will change his life forever. It will very directly and clearly put him on the path to becoming Batman. 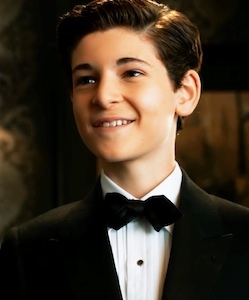 Mod: The scene between Alfred and ‘Not’ Bruce… Good Lord! That was amazing, it was incredible! it really looked like you were taking a punch. RLT: I just want to say that’s a testament to our Emmy-nominated stunt team. Norman Douglass and the rest of them… are the best in the business! You see that in every episode of our show. JL: The most incredible thing about it is that we don’t have a lot of time. We have very limited time to learn the sequences and the stunts. You will get together, maybe the day before or the week before, and then it’s time to do it. They adjust things to your own, personal skill level as well. They’re very adaptive, so that’s very helpful. It’s so fun! It’s so fun to do that stuff! Fan: Robin. Can Nygma and Penguin ever again be friends? RLT: It’s hard to say. 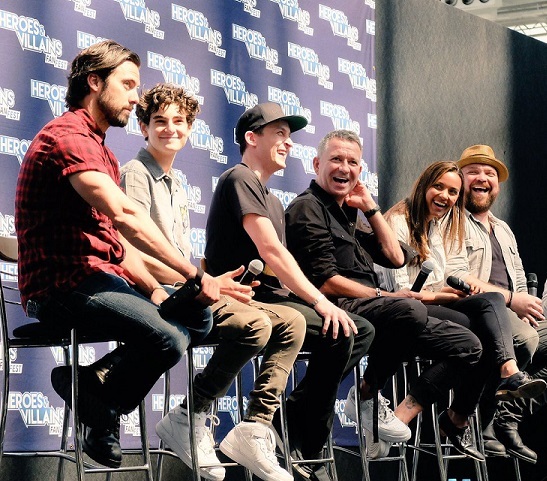 Anything is possible on our show… we have characters who die and come back, and – hopefully – we’ll have many years to explore all the different kinds of storylines. Things have a certain way of circling back in Gotham City. 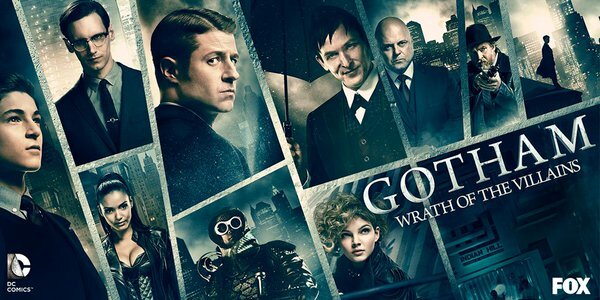 Gotham is the story of what happens when love is taken away from you. How that turns these people into the villains, who then become the supervillains that we all know, and that we’re all familiar with. Of course, anything is possible but, at the same time it’s hard to say if that would really fall in with the story that we are telling. Fan: Let’s say that tomorrow morning you wake up in Gotham City. Who would be the characters you’d love to meet? Which characters would you avoid? Which would be the places you’d love to see? SP: I wouldn’t like to see anyone at all actually! Anywhere that’s not inside the manor! It’s always nice to get out… it’s a little dusty in there. DM: I think I would go to The Penguin and (fawn all over him) and just be really nice! So that he could just protect me. RLT: I think that actually goes very far with Penguin, so that would be OK.
DM: I think that’s what I’d do. That’s the best course of action! DP: I’d go find The Ogre’s apartment and check out some of those toys! MV: Yeah. It’s pretty dope. DP: Whatever happened to all those toys? DP: Just waiting for you to come back. MV: Uh… yeah. I’m waiting for me to come back too! DM: I think that you are back, just secretly waiting to strike again. Fan: Before becoming the actors that you are now, what were the (worst, most awful) jobs you’ve ever done? DP: I worked at Dairy Queen. MV: You could get all the free ice-cream you wanted? DP: Oh, yeah! I would stick my mouth under the tap! DP: Yeah, that part was great… but I also had to wear a brown polyester uniform that itched through the summer. Awful! SP: McDonald’s and a petrol station clown! It was kind of humiliating. Yeah, you went up for the job, but I actually got it. JL: I’ve been acting since I was a kid, so… honestly, I’ve never had a “Real” job. RLT: What was the (worst) commercial you ever shot? JL: I’ve never done a commercial either. DP: Oh, for crying out loud! Wow… it’s just that easy kids! JL: It’s not! No, no… I was a babysitter. That’s it. RLT: I was a telemarketer for two days, and I didn’t even give my notice. I just walked out and never went back. It was an absolute nightmare! DM: I don’t know! I’m 16! DP: He’s on the Jessica train! DM: Jessica, let’s stick together. MV: I worked on the deli counter at a restaurant and had to deal with a lot of a-holes coming through. I’d get an order wrong, and I sucked. I gave away a lot of free bread. DP: Did you use the meat slicer? Was that any kind of fun? MV: No! It wasn’t a cool deli where you get the toys, and stuff. It was just like; pack up the pasta salad, make sure the order’s right, answer the phone… it sucked. Fan: What were your inspirations when you were growing up? When I was a kid, those were the things. I love to sing as well. DP: She dosen’t want you to know, but she’s got a great voice! JL: Drew has a great voice! DP: I keep trying to get her to sing for the world, but she’s not having it. JL: We’ll save it for the Gotham musical episode. RLT: My inspiration’s my mom, who is here today! I grew up in a very small town in the middle of the United States. There was culture there, and there were travelling shows that would come through town. She always made sure that I went, and I saw them. It was something that we shared together. (Blows his mother a kiss). MV: The same, my parents. They allowed me to be an artistic kid. I did sports, and I had to do all of school, but – like Robin said – my mom and dad encouraged my acting, encouraged (me) to be artistic. It’s nice, because it is a tough thing, I would imagine. Your kid’s not going to be a doctor, which the world needs, or a fireman, who saves people. But, in a way, there is something great about entertaining and, maybe making people laugh, or making people feel, making people cry… my mom and dad made sure that I was exposed to all that. Yeah, my parents. DP: My uncle was an actor, and as a kid I would go and watch him. He did Joseph And The Technicolor Dream Coat, and he was a clown – in the least creepy way – and it was really inspiring to me. We still have a great bond, he’s my dad’s brother, and I hadn’t thought about that ’til you asked that question. 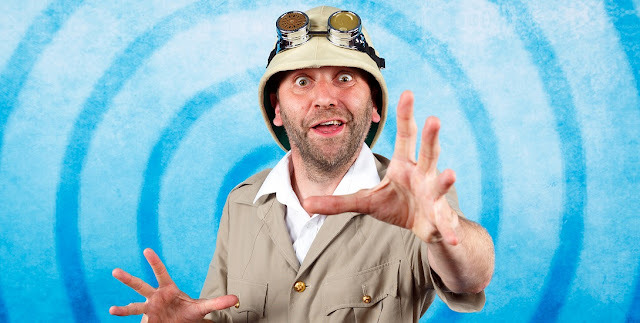 As a kid, I would really look up to him and the idea… that you could go on stage and create. We didn’t have a lot of TV opportunities in Central Indiana, although I did do a commercial when I was 10 years old… I used the money to buy a Pac-Man watch, which was frickin’ incredible. It was great seeing in the flesh, someone from my own family was up there doing it! Fan: To David and Robin. What do you think what would happen if your character got the (Tetch) Virus? 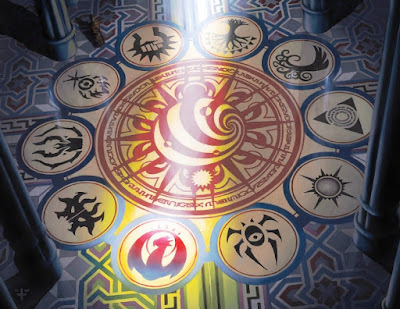 What darkness would it bring out? 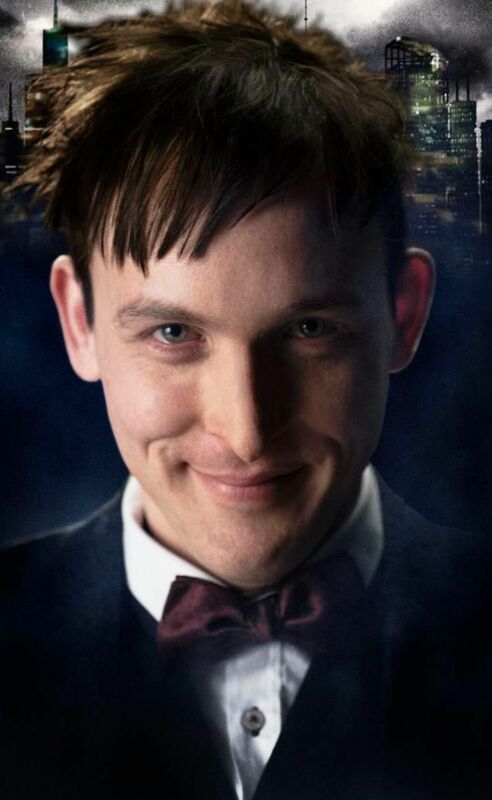 RLT: The Penguin is all about control. It would be really fun to play, because it would unlock that for him. Penguin always loses control at some point, so it would be fun to see him lose himself in that way. It would bring out more of the manic, animal side to him which would be exciting. DM: I think Bruce’s inner darkness – which is being explored in these episodes now with the shaman – is his rage. He has this burning (anger) inside of him, which he constantly suppresses. It roots from his parents being murdered. He is just angry at the world, he’s angry at the fact that he was dealt this really crappy set of cards. I think it would bring out this animal like rage inside of him, that he wouldn’t be suppressing, that he would let it out and it would be pretty scary. 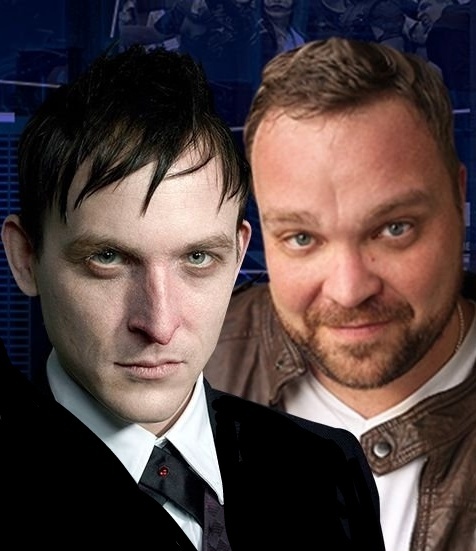 Fan: Robin, what do you think would have happened if James Gordon had been a real friend to Penguin, and helped him out of crime, instead of letting him down. Do you think that things would have turned out differently for him? That he could’ve been a good guy? RLT: Yes, I think he would be. It would’ve been a life-line to him. Whether or not he would have accepted it remains to be seen. 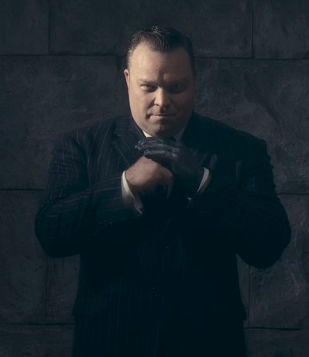 In season two when he was brainwashed by Hugo Strange, he lost all of that animosity and all of that darkness. But, you see that the true person that was underneath all of that scar tissue… that’s who he really is, deep down. I’m really grateful for that storyline, because we were really able to bring that to the forefront. This poor, unassuming, sweet, kind person that truly lives within all of us. We all, when we go to a negative place, or we treat people negatively… I think it’s because of a reaction to bad experiences that we’ve had over our entire lives. It’s the same with Penguin. I think that there’s a truly genuinely good person underneath, with him and with all of the characters in our show. But, again… the story is how the city is constantly stripping that away from all of us. Most especially from the future Dark Knight. So, there we have it. The whole event was so much fun. The fans asked some great questions and the answers varied from the ridiculous to the sublime. What did you think? As always, let us know and keep reading.